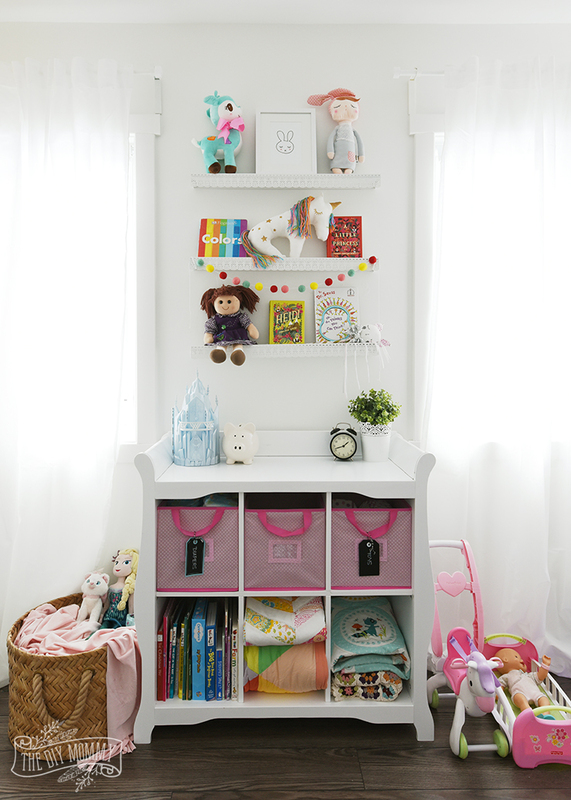 If you saw my daughter’s recent bedroom makeover, you might have caught a glimpse of her sparkly little unicorn pillows. I think they’re the cutest little plushies in the world, and I’m excited to say that I made them and I’m sharing with you the free tutorial and pattern today! 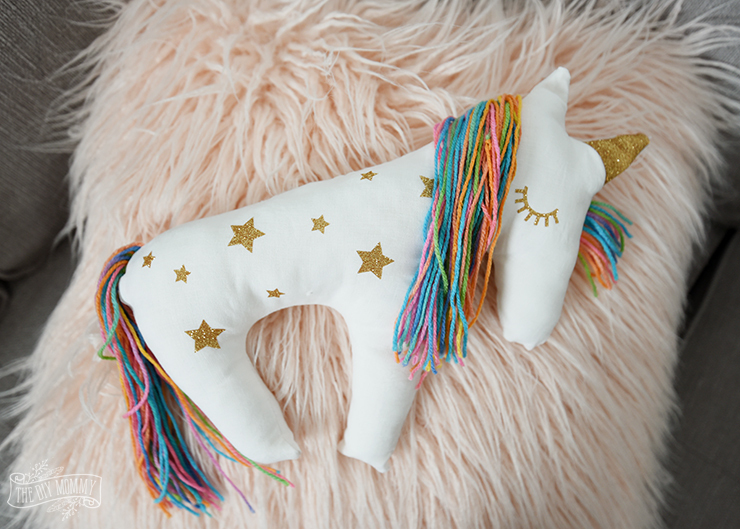 With some simple sewing materials, a few materials, and a Cricut Explore Air, this adorable plush unicorn pillow is a fun DIY that makes for a cute kid’s bedroom decoration or a unique gift. Let’s get started! 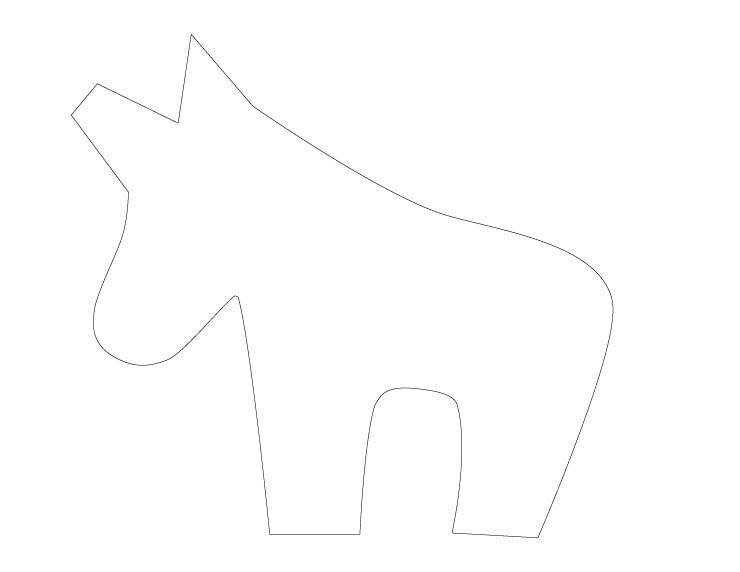 Print the pattern out on 4 pieces of letter sized paper, and then tape the pieces together to create the unicorn shape. 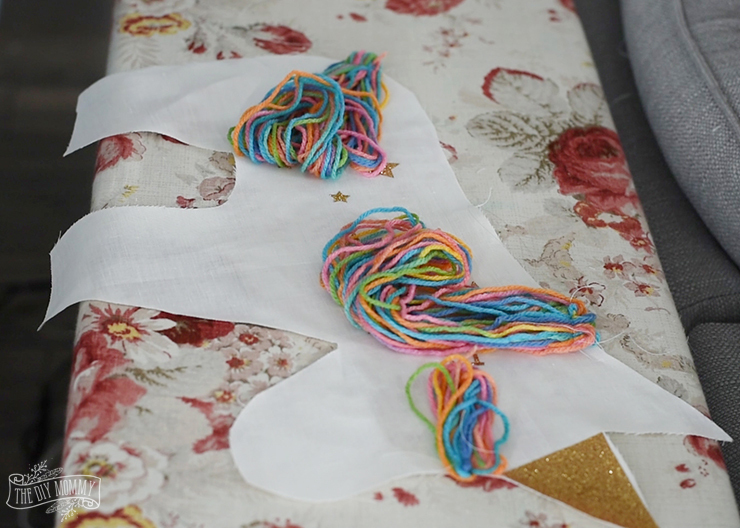 Pin the pattern to your fabric, folded in half, and then cut out the pattern to create two unicorn shaped pieces from the fabric. 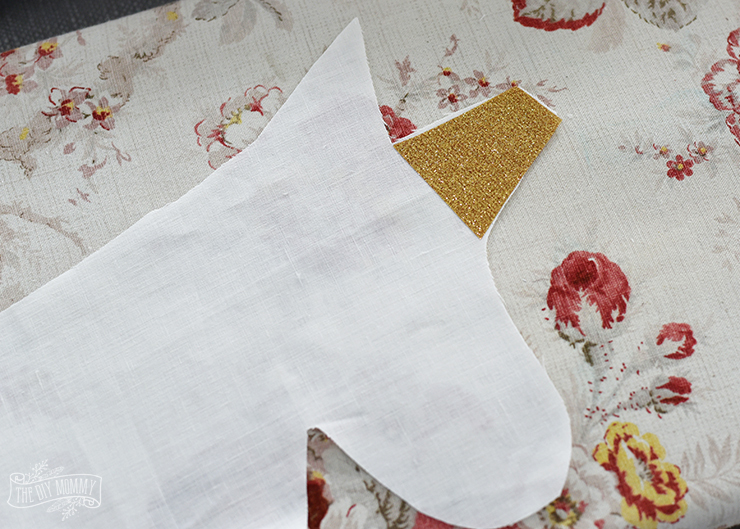 With fabric scissors, cut out a piece of the gold glitter iron-on to match the shape of the unicorn’s horn. Iron the gold glitter iron-on to the fabric following the directions on the package. 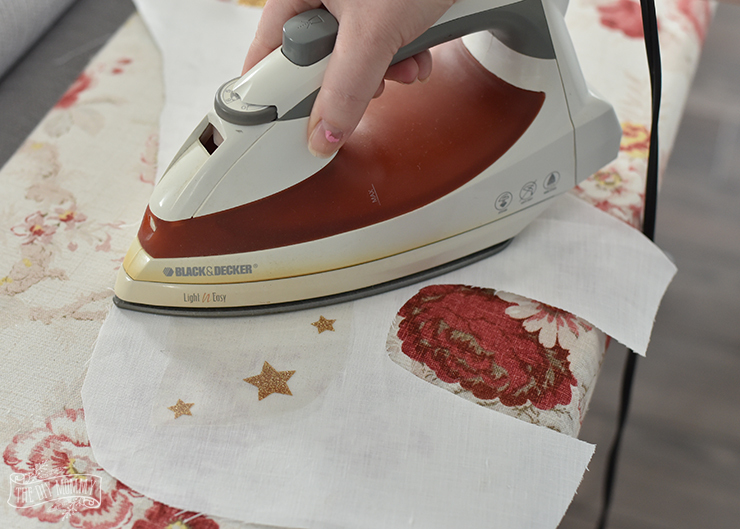 I used my hottest iron setting, and the gold glitter adhered perfectly to my linen fabric. Next click here to visit the unicorn stars & eye pattern I designed in the Cricut Design Space. I’ve made it public so that you can use it for yourself! I’ve been having a ton of fun making my own designs in Design Space, and I’ve also made them in my own Illustration program and imported them into Design Space. Both have worked great! Cut my unicorn stars and eyes pattern onto the gold glitter iron-on with your Cricut machine. 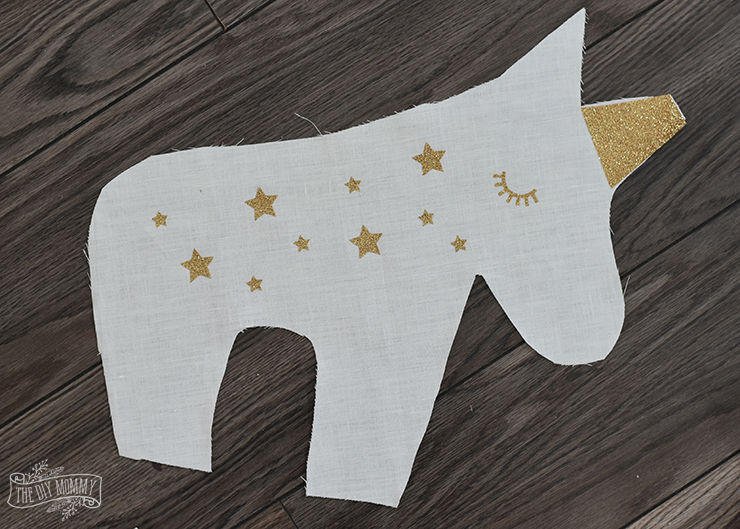 Weed out the excess iron-on with your Weeder tool, and then iron the stars and the eye on to the unicorn fabric shape. Use this photo for placement reference. 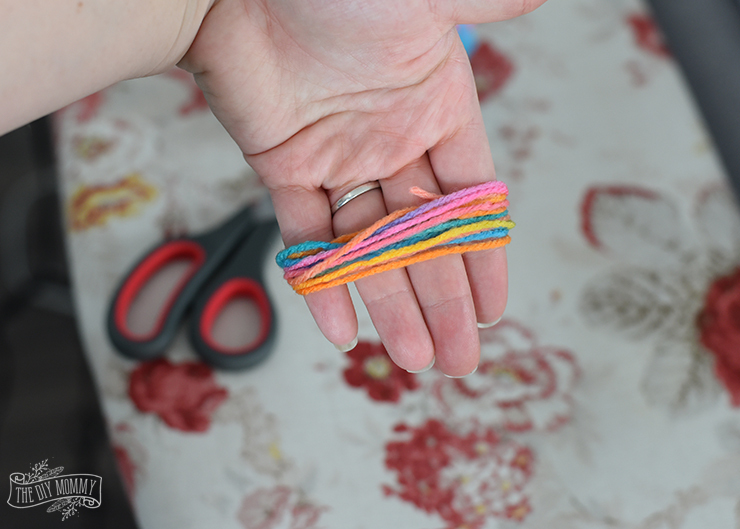 To make the front of the unicorn’s mane, wrap several strands of yarn around your hand like this. 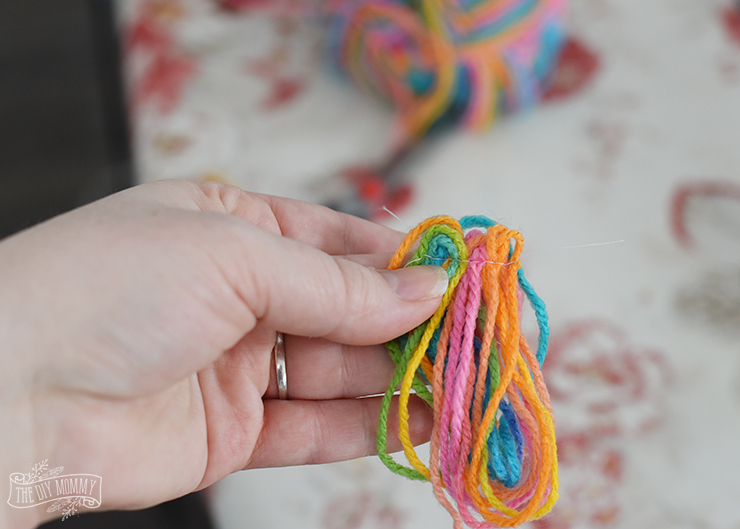 Carefully remove the yarn from your hand, and sew across the top of the loop as shown above. 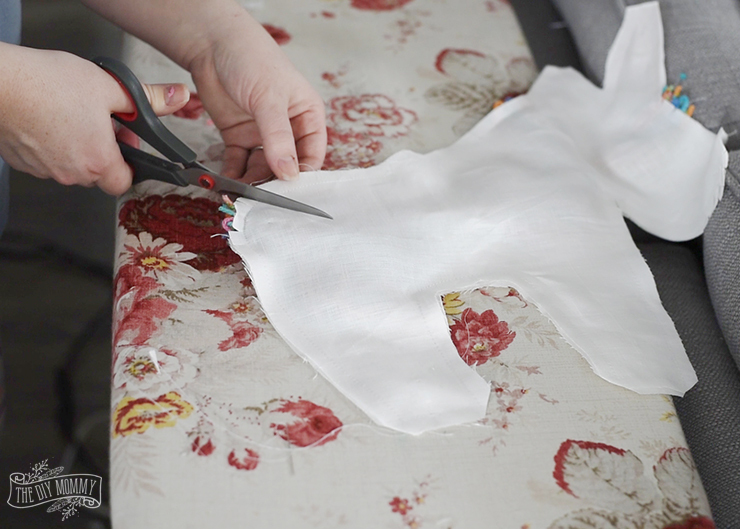 Repeat this process twice using a larger item like the end of an ironing board to make the back part of the mane and the tail. 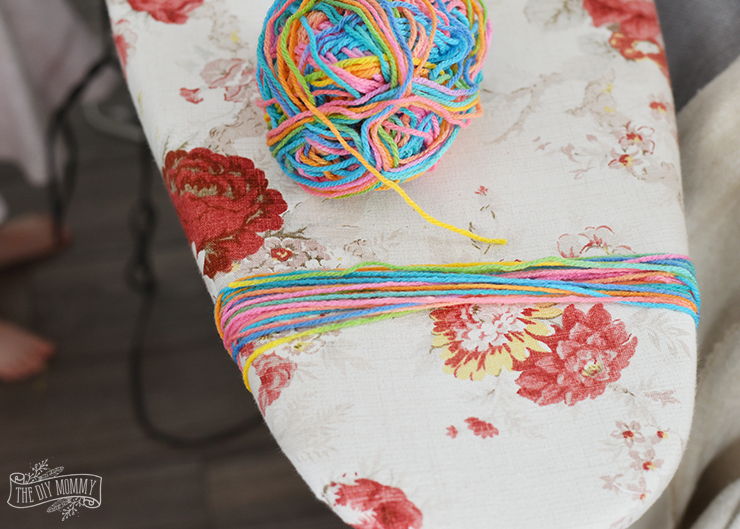 Remove the yarn from the object, and sew across the top to secure the strands. 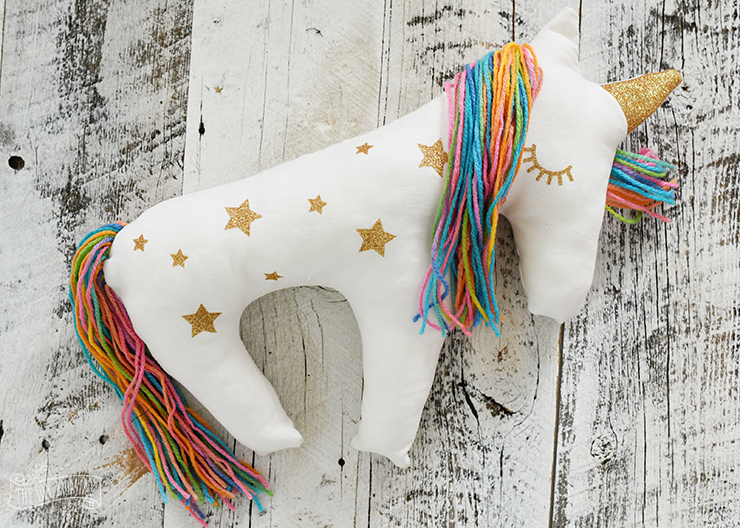 Pin the mane and tail pieces to the right side of your unicorn fabric piece like this. Make sure that the excess yarn stays within the edges of the fabric piece. 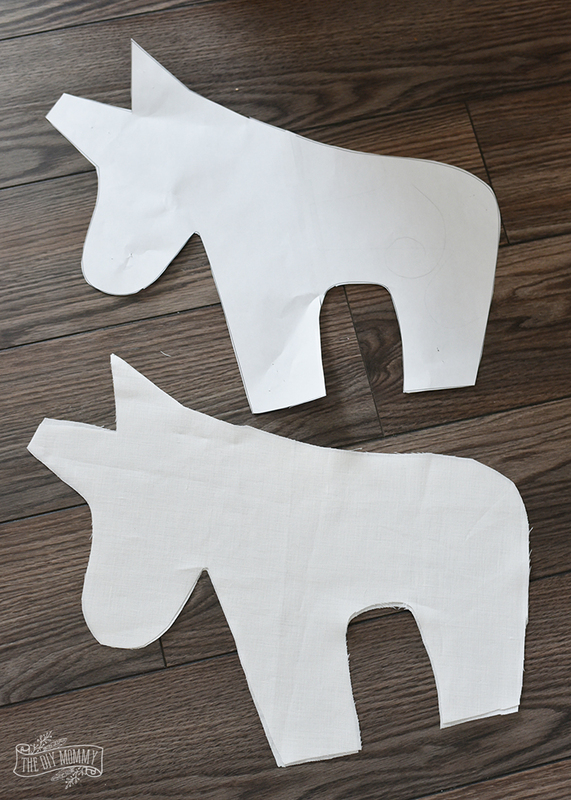 Pin the two unicorn shaped pieces of fabric together like this, right sides together. 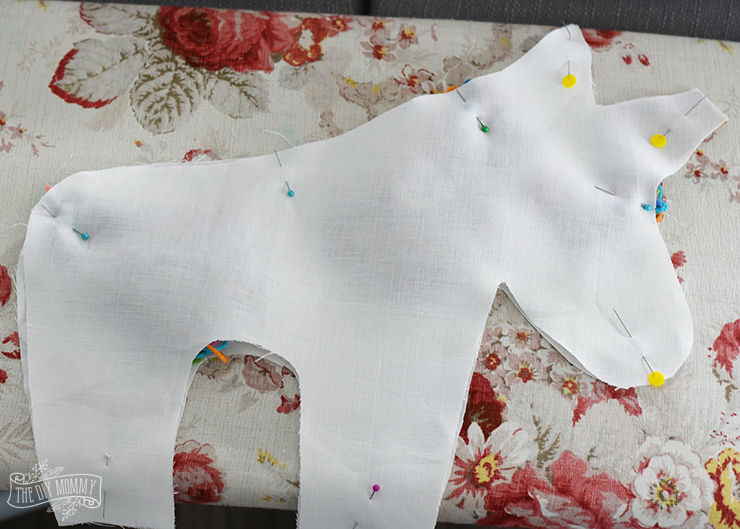 Sew around the perimeter of the shape, using a 1/2″ seam allowance and leaving a 5″ hole at the top back of the unicorn. Clip off any corners (making sure not to cut the stitching), and cut slits anywhere the fabric curves so that the seams will curve nicely. Turn the unicorn right side out and stuff it with polyester batting. I started by stuffing the ears and horn, then I stuffed the head and feet, and then I finished by stuffing the body. Hand stitch the opening shut with a needle and thread. You’re all done! Aren’t these the cutest?! This guy would make a fabulous gift for a little one, or they also make beautiful nursery or bedroom decorations. You can use them as pillows or as a stuffed plushie to hug. Little B has one unicorn on her shelf, and Little A has one to hug in her bed. 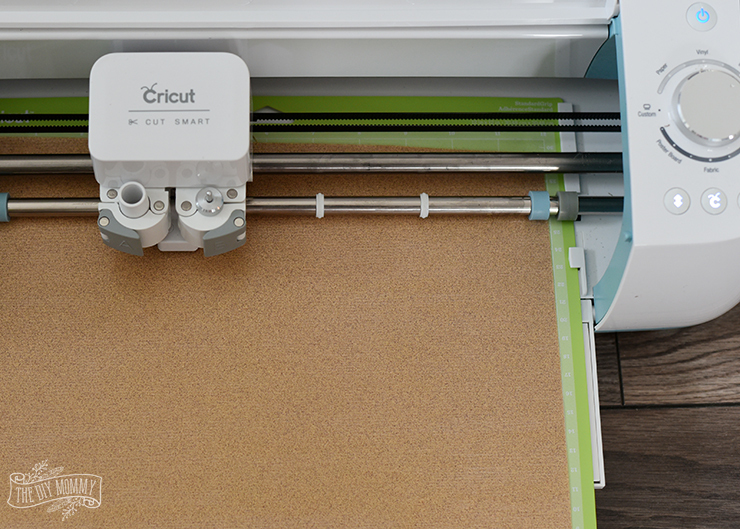 I’ve been loving using my Cricut Explore Air, and it’s been so fun to try ultra custom projects with it. I’m scheming some fun Spring pillows along with some DIY clothing for my next Cricut projects! 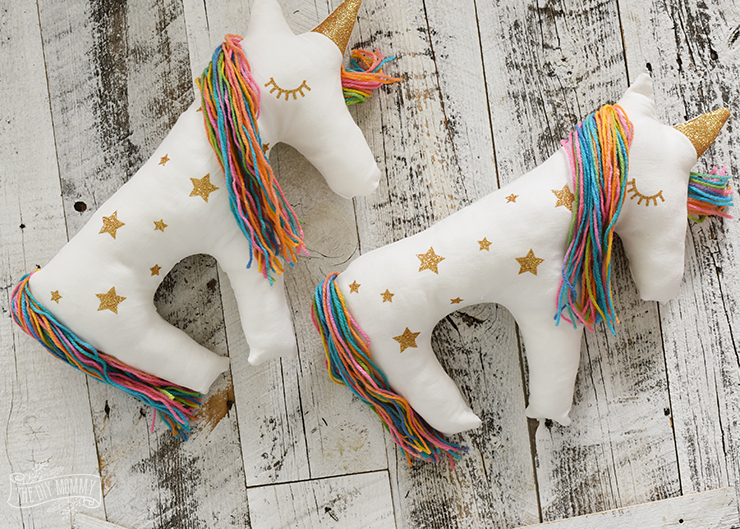 Tell me: What do you think of our DIY plush unicorn pillow and what would YOU make with a Cricut Explore Air? Used this pattern and put my own twist on it. My granddaughter LOVED it. That is so awesome, Sara! Thanks for this beautiful, useful project! Your instructions with the up-close images are so clear. 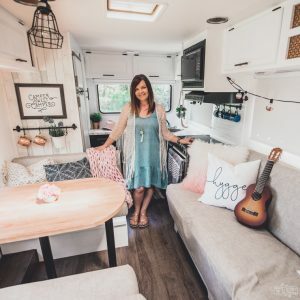 Hi Christina, this is a beautiful design. I would like to ask if it’s possible to use another animal for this design. Will it affect the beauty or the effectiveness of the pillow? You could def use any animal you like. Just need a template of your animal of choice and you’re good to go. Hi Lindsay, thank you for the quick reply. You made my day…Cheers! What a sweet unicorn pillow!!! my daughter LOVES unicorns and is just learning how to sew! This is a great kids sewing project for her new pink Hello Kitty kids sewing machine! Thanks for the great idea!